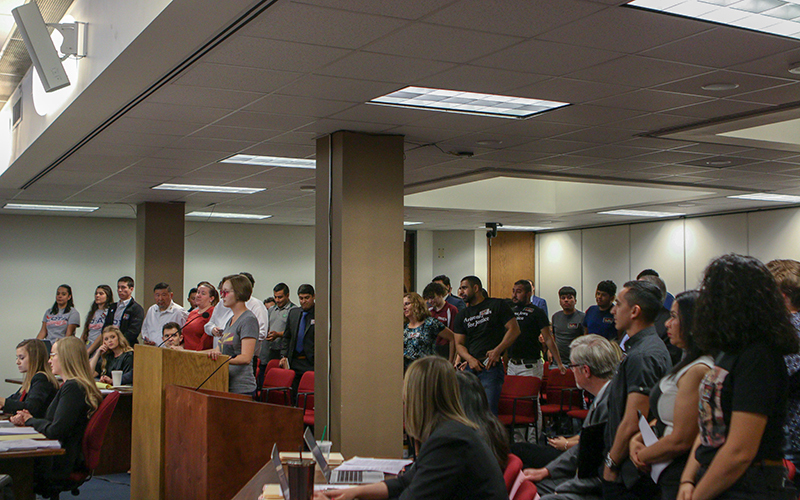 PHOENIX – Arizona lawmakers could allow employers to slash the minimum wage for young part-time workers to as low as $7.25 an hour, a measure that drew a contentious crowd of supporters and opponents to a Senate committee hearing Thursday. The Commerce Committee approved House Bill 2523, sending the measure to the full Senate and extending a boisterous debate. Some business owners support the bill, which would pay students who work part time and are younger than 22 the federal standard rather than the state minimum wage of $11 an hour. Supporters said it makes economic sense to pay young people less than more experienced employees, and it allows businesses to hire more people. “It gives them (employers) more flexibility to find those certain individuals between those ages that are working part time and plug them in,” said Joe Galli, senior public policy advisor for the Greater Flagstaff Chamber of Commerce. College student Elizabeth Thorley was among those at the Thursday hearing who disagreed, saying the bill would allow employers to discriminate against young people. She said her job helps pay her tuition at Arizona State University, car note, medical expenses and other bills. And, as someone with a chronic illness, she said she was concerned that a lower minimum wage also would harm people with disabilities. Bill opponents also said a decrease in the minimum wage would mainly hurt students who must pay bills with little financial help or who are primary breadwinners. Rep. Travis Grantham, who sponsored the bill, said companies will not pay a high hourly wage to someone with no experience. 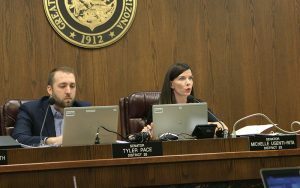 “I don’t see it as discriminatory when we’re opening up a job opportunity for someone who’s been priced out of a job market,” the Gilbert Republican said. The federal minimum wage is $7.25, but many states and cities pay a higher hourly wage. In January, Arizona was among 22 states that increased the minimum wage. That bump took Arizona’s minimum wage to $11, part of a gradual hike that voters approved in 2016. The minimum wage is expected to reach $12 an hour by 2020.